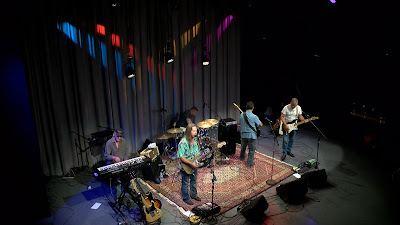 "The Soul of Blues Rock"
can be found in this dynamic 5 piece band from Western Mass. Blue Devil Blues is a blend of Blues, Rock, Motown, Originals, Ballads, Boogie and bluesy versions of some Classic Rock favorites. If you like your blues with a rock edge, if you like it funky, if you like it soulful and smooth, this band has it all. The band features the soulful vocals of Bob Roy on Bass, his son Eric Roy on vocals and drums, and Mark Rogers on vocals and guitar. Rounding out the lineup is Mike McLaughlin on guitar and Joe "The Funk Doctor" Elliott on keyboards. What you get is a modern blues combination that rocks you over the top to Chicago, New Orleans, Memphis, and beyond. Blue Devil Bluez features music from such greats as Albert King, Freddy King, Albert Collins, Buddy Guy, Luther Allison, and Eddie Floyd, to contemporary artists like Robert Cray, Delbert McClinton, Michael Burkes, Larry McCray, ZZ Top, The Allman Bros, The Rolling Stones and so much more. 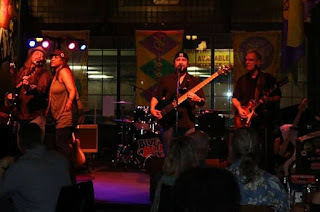 Blue Devil Bluez puts it all together into a tasty rocking blues gumbo that is keeping the blues alive and works hard to bring it all home to the fans of this music. The band, formed by Bob Roy, son Eric Roy, and Mark Rogers in 2010 have one common tie, "The Blues." 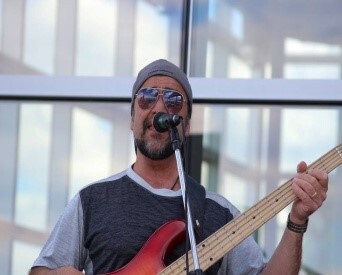 "It's what we come back to when we want to make music that everyone can enjoy, relate to and most of all, play with passion" says Lead Vocalist and Bass player Bob Roy. All share the passion to deliver live blues at its best. 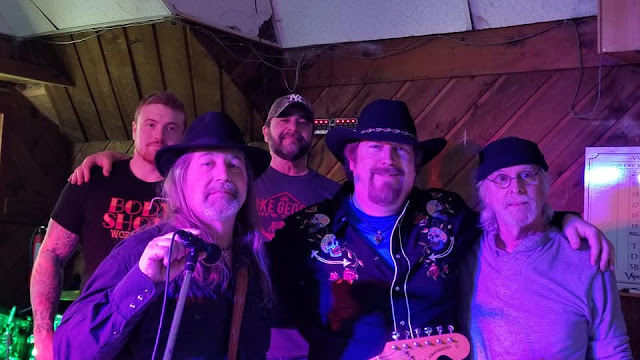 Blue Devil Bluez was formed in 2010 when long time friends Bob Roy and Mark Rogers began collaborating on a new music project. At that time, Bob’s son Eric Roy was just coming off the road from playing with a Metal Band. “We took him out to see Michael Burkes and he was just blown away” says dad Bob Roy. “He’s been hooked on playing Blues/Rock ever since”. With Eric onboard on drums, they started working on their sound. “We were looking for a sound that mixed Classic Blues, Motown, and Original music with a rocking rhythm section and Eric fit that bill perfectly”. Blue Devil Bluez has changed since those early sessions. Today’s band still features Bob Roy on Bass and Lead Vocals, Eric Roy on Drums and Vocals, and Mark Rogers on Guitars and Vocals. Add to the mix veteran bluesmen Mike McLaughlin on Guitars and Joe “The Funk Doctor” Elliott on Hammond B3 and Keyboards and you have a sound that is still evolving. 119 Meadow St. Westfield Ma. Last year was the 50th anniversary of the Monterey Pop Festival. That historic event mixed music and art in a way that has defined the Hippie sub-culture of the 60’s and the 70’s. To pay tribute to those Hippie Blues and Blues Rock bands of that era, this year we will be collaborating with psychedelic artist Jasper Richards. 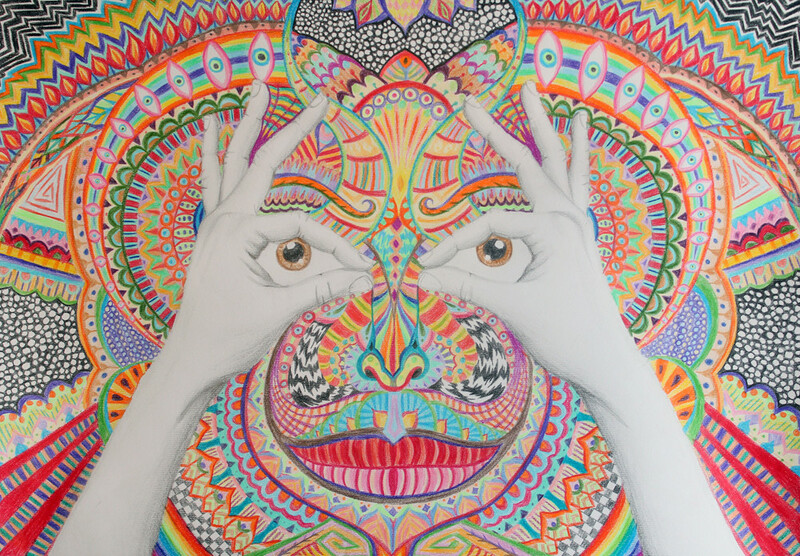 Jasper’s artwork will be featured in many of our media postings and poster art this year. Bob Roy - Bass, Vocals: Bob began playing drums/vocals at 12 and playing professionally at age fifteen. Bob fronted two bands in late teens then moved to bass/vocals in his late 20's. Bob has recorded several original compositions and radio jingles. He placed fourth in Nashville song writing competition and has won two Honorable Mentions. 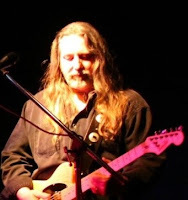 Former member of “Razin Cain", "Cross-town Blues Band" and "Headliners". He has also won The Hartford Ct. radio talent search and opened for several national Blues artists. Eric Roy – Drums, Vocals: Eric, the youngest member of the band formerly toured with 'Give Em Hell" His music background started with sax and guitar. A rock solid drummer and strong vocals gives the band a tight blues/rock foundation not often found in other bands. The sky is the limit for Eric who composes and records his own music. Mark Rogers – Guitar, Vocals: Mark started playing at the age of 9 and took private guitar lessons 3 years. Mark learned by ear and at age 13 played out at local clubs with older musicians. Then at age 17 he went on to play with local musicians and got into writing music & lyrics with long time friends Bob Roy, and Mark Sadler (of Shovelhead). Entering a contest at 22 with Bob Roy, with whom he has done recordings over the years, they won honorable mentions with songs at Music City Song Festival, Nashville Tenn.
Mike McLaughlin - Guitar, Vocals. Mike has been drawn to music since he could crawl. He started playing guitar at 12, but really got serious at age 16. 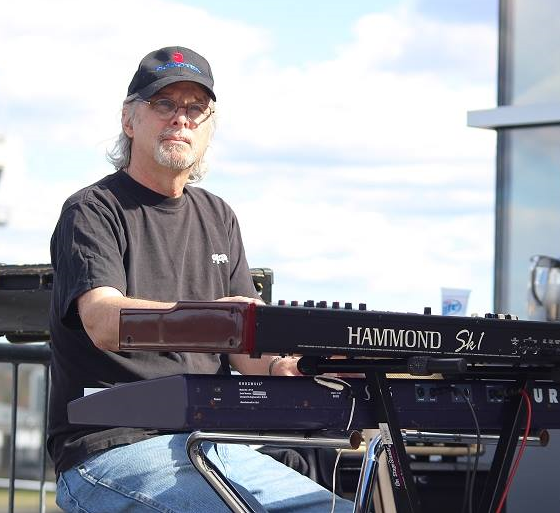 He's played with several local bands over the last 30+ years, including recently with Good to be King, Club Floyd, The Chicken Yard, Eva Capelli Band, and Visions. 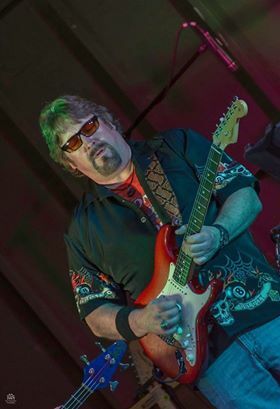 Mike has a passion for guitars, and loves to bring a wide variety of guitars and tones to the stage. Joe Elliott – Keyboards Joe started out playing drums in area bands and then began to travel as a drummer. While on the road he was drawn to the sound of the Hammond organ. Joe played keyboards in area groups such as Razin Cain and Headliners before becoming involved in the New England blues scene. To date Joe has played and recorded from Canada to Florida to Texas and has enjoyed a diverse musical experience from playing in tribute bands, piano bars to playing in ten piece horn bands. Blue Devil Bluez Schedule 2019 GIGS ADDED!! 25 Point Grove rd. Southwick Ma. 201 Worthington St. Springfield Ma. Bringing the Blues home and keeping it alive are important to Blue Devil Bluez. Their Rocking, high energy style makes each of their shows unique and they work hard to deliver a great “Live” performance every time. 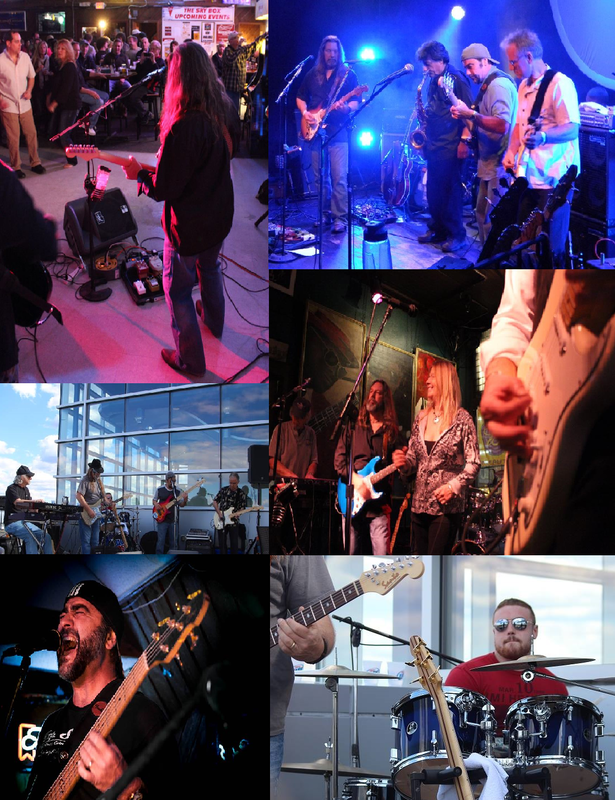 Based out of Western Ma., Blue Devil Bluez works the local Blues circuit and often make appearances at the Award winning Blues Club, Theodore’s Blues, Booze, and BBQ night club in downtown Springfield Ma. They have also appeared in Black Eyed Sally’s in Hartford Ct. and performed at The Riverside Blues Festival in Greenfield Ma. 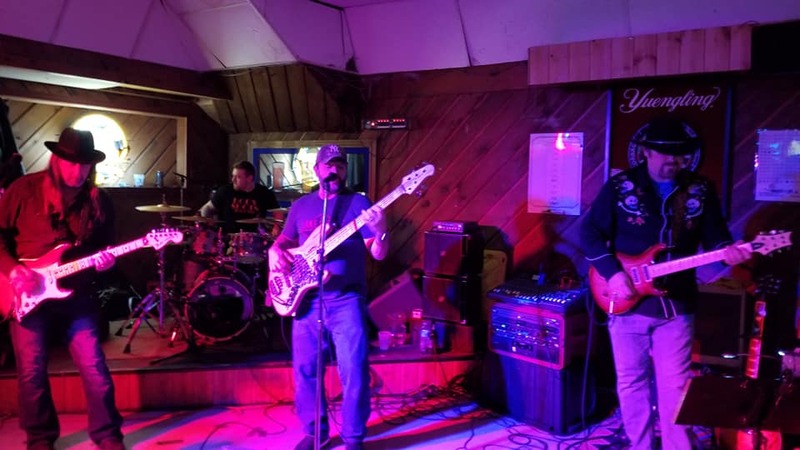 In The Summer months, Blue Devil Bluez often perform at outside events at clubs like Louie B’s and Crabby Joe’s in Southwick Ma. They have also appeared at several Civic events such as the Holyoke Heritage Concert Series and the Westfield Rotary Food Fest. Blue Devil Bluez is available for club dates, party's, and outdoor events and festivals. Please feel free to contact us if you have any questions.